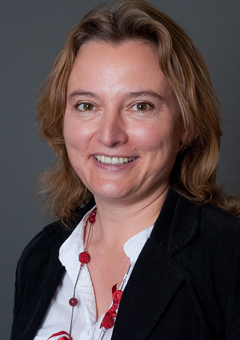 Sylvie Matelly joined IRIS in 2001. After a masters degree in International Economics (with a minor in Financial markets, energy and raw materials), she pursued a PhD about “Economic determinants of military spending” at the University of Grenoble, France. She also studied in Barcelona and Montpellier. At IRIS, her work focuses on Defence Economics, Arms Industry, Export Control and Corruption issues. She has conducted studies for the French Ministry of Defence and Foreign Affairs, the EU Commission, the Defence Agency and the Parliament, as well as for Strategy and Defence companies. In 2003, she co-created the Master’s degree in “Geoeconomy and Strategic Intelligence”, which has trained an average of 30 students each year since. She is also an associate professor and head of the department of Finance, Economics and Law at the Léonard de Vinci Business School (La Défence – Paris). She has recently published a book in collaboration with Bastien Nivet on “Europe and globalization”.